Quaint shops, fine restaurants, a multitude of attractions, live music and great nightlife make Salem a vibrant city with a cool urban feel. Salem is experiencing an incredible resurgence, new retail stores and restaurants are opening every month, attracting more year-round residents. And, for visitors the advice is to “Pahk the Cah”, as Salem’s has a fantastic walkable downtown. Salem is known worldwide as a historical and cultural tourist destination, and is the heart of the tourist community in the region north of Boston. There’s always something happening in Salem. Whether it’s a festival at the Willows, music at the farmers market on Derby Square, the annual Haunted Happenings Grand Parade, or fireworks over Salem Harbor, it is easy to enjoy Salem. Salem is also known as the restaurant destination north of Boston, and celebrates its culinary attraction during the spring and fall restaurant weeks. And, of course, Salem is the only city in the world that celebrates five seasons each year – winter, spring, summer, fall, and Haunted Happenings in October! Today, as you walk the streets of Salem, you can see the best of four centuries of architecture contained within the one-mile-wide center of historic Salem. From the 1668 House of the Seven Gables, to the grand mansions of Chestnut Street, to the charming Victorian cottages near the Salem Common, the city of Salem has a wealth of architectural treasures. Salem has a culturally diverse population, a rich maritime heritage, and amazing stories that span almost four centuries. During your visit, stop by at The National Park Service Regional Visitor Center or the Salem Maritime National Historic Site on the Salem Waterfront. It’s time to discover the magic of Salem! Destination Salem - The Office of Tourism & Cultural Affairs in Salem. 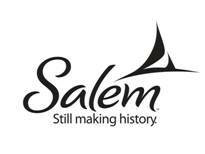 To request a free Salem Visitors Guide, click here. 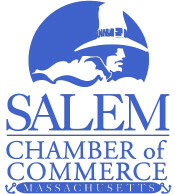 For more information, please visit the Destination Salem website. The North of Boston Convention & Visitors Bureau - Proudly promotes the thirty-four cities and towns of Essex County as a tourism destination. To request a North of Boston Visitors Guide & Map, click here. Salem Main Streets – Salem Main Streets goal is the revitalization of downtown Salem as a vibrant year-round retail, dining and cultural destination through business recruitment, retention and the promotion of downtown Salem. For more information, please visit the Salem Main Streets website. Salem is located 16 miles north of Boston and is a convenient 30-minute drive or train ride, a 45-minute ferry ride or a one-hour bus ride. For driving directions via car please click here. Salem is the main hub on the Newburyport/Rockport Commuter Rail Line from Boston's North Station. The Salem Ferry docks at the New England Aquarium at Central Wharf in Boston and arrives in Salem at the New Salem Wharf on Blaney Street in Salem. For more information, please visit the Salem ferry website. For information on parking in downtown Salem, please click here.